What do you do with a lean cut of meat like pork tenderloin? Wrap it in bacon! You’ll get a juicier overall experience and a crispy outside – not to mention all that bacon flavor. Just to make absolutely sure you don’t dry out the tenderloin, it’s also a good idea to cook it over indirect heat – set the coals blazing in one part of the grill, and then cook the tenderloin over a different part, so the heat isn’t quite so intense. 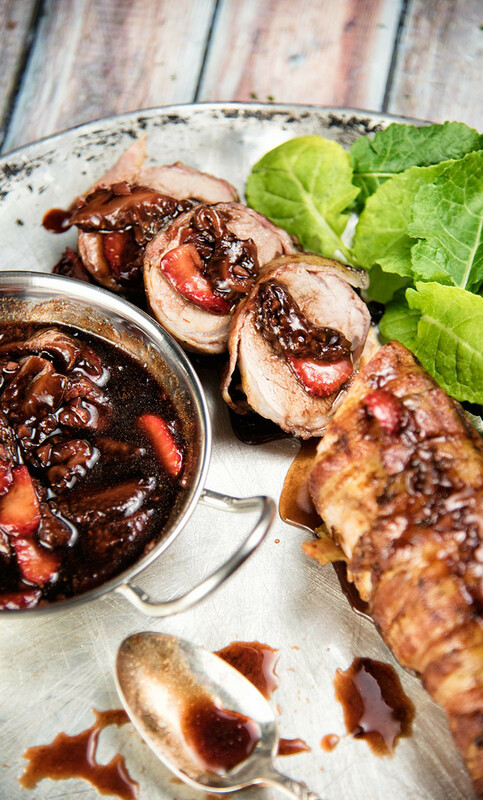 That takes care of the tenderness, but to make the finished product really delicious, this recipe also has a balsamic-strawberry sauce for basting and serving the meat. It’s easy to make and great when strawberries are in season and you’re tired of eating them plain. With only a few grams of sugar in the whole sauce, this is also a great choice for anyone on a lower-carb diet who still wants a taste of summer fruit. For sides, why not try roasted Brussels sprouts or some quick grilled broccoli so you don’t even have to turn on the stove? And don’t forget dessert! SERVES: 4 PREP: 20 min. COOK: 35 min. Preheat your grill to high for indirect heat. Wrap the bacon slices around the tenderloin and secure with toothpicks. Place the tenderloin over the indirect heat, and cook for about 30 minutes, turning occasionally. Heat the olive oil in a saucepan over a medium-high heat, and cook the garlic for 2 minutes. 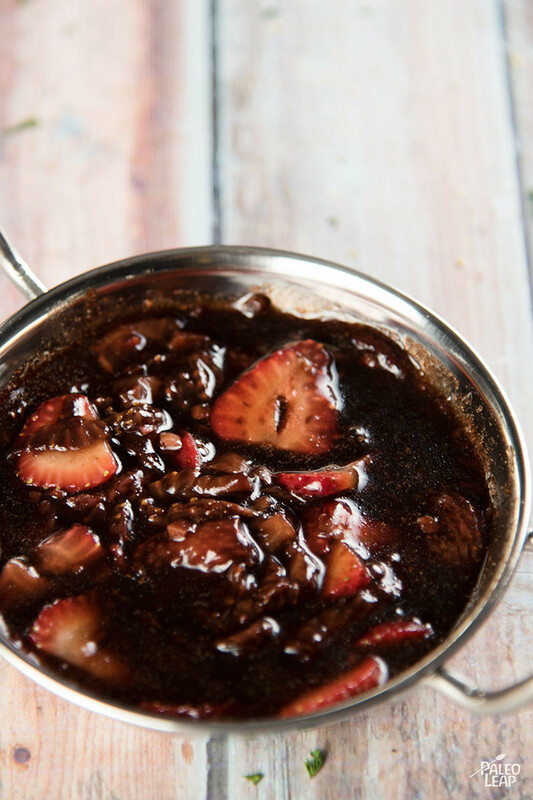 Add the balsamic vinegar and ½ cup of the sliced strawberries, and bring to a boil. Lower the heat to a simmer, and let simmer for 5 to 10 minutes. Season the sauce to taste and add the remaining strawberries. Baste the tenderloin with some of the strawberry sauce and cook over direct heat until the bacon gets crispy. Slice the pork and serve with the remaining strawberry sauce.